In addition to writing for an academic audience, I also devote time to writing for a popular and policy audience, particularly on climate change and energy policy. You can also find me on Twitter. Leah C. Stokes, David Pellow & Emily Williams “No to New Oil Drilling.” The Santa Barbara Independent, March 6 2019. Leah Stokes “Can the Green New Deal make it through Congress? Here are 5 things you need to know.” The Washington Post, February 21 2019. Alexander Hertel-Fernandez, Matto Mildenberger & Leah C. Stokes “Congress Has No Clue What Americans Want.” The New York Times, October 31 2018. Nic Rivers & Leah C. Stokes “Will household rebates really make Canadians warm to a carbon price?” Maclean’s, October 27 2018. Leah C. Stokes. "Trump's giveaway to Big Oil will accelerate climate change." CNN, August 7 2018. Matto Mildenberger & Leah C. Stokes. "No, we didn't almost solve the climate crisis in the 1980s." Vox, August 6 2018. Leah C. Stokes. "Climate change is behind the global heatwave. Why won't the media say it?" The Los Angeles Times, July 15 2018. Leah C. Stokes. "Climate Change in my Backyard." The New York Times, January 11 2018. Leah C. Stokes "How Can Foundations Change Public Policy? The Case For Funding Grassroots NGOs." HistPhil, July 5 2017. Leah C. Stokes & Matto Mildenberger. "The Politics of Equitable Climate Policy." Scholars Strategy Network Brief, 2016. 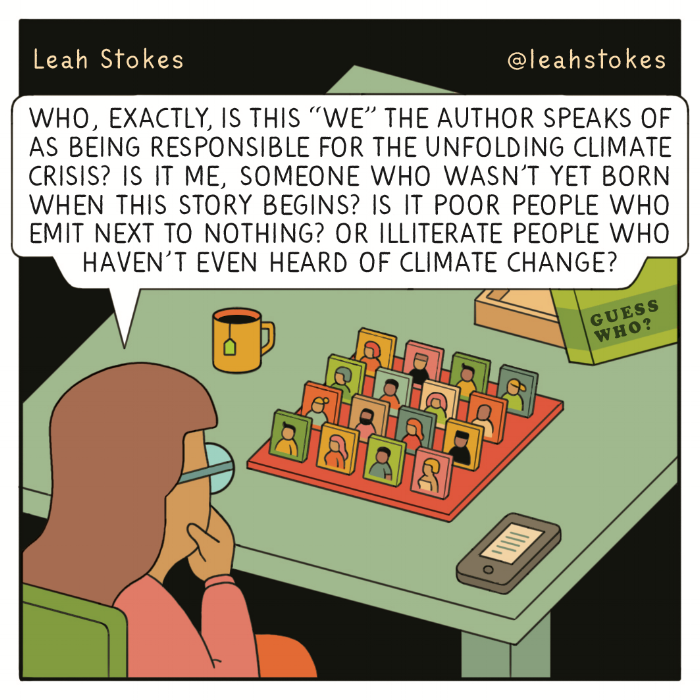 Leah C. Stokes. "Governments who push popular climate policies can be punished at the ballot box by local and vocal minorities." LSE US American Politics and Policy Blog, November 18 2015. Leah Stokes. "Ontario's Backward Step on Renewable Energy." Toronto Star, July 22 2013.